Target is recalling Easter egg water-absorbing toys that, if ingested, can expand inside a child's body and cause intestinal obstructions. The Consumer Product Safety Commission says the intestinal obstructions would result in severe discomfort, vomiting, dehydration, and could be life threatening. Surgery is required to remove the toy from the body, and there is a possibility that the toys might not show up on an x-ray. 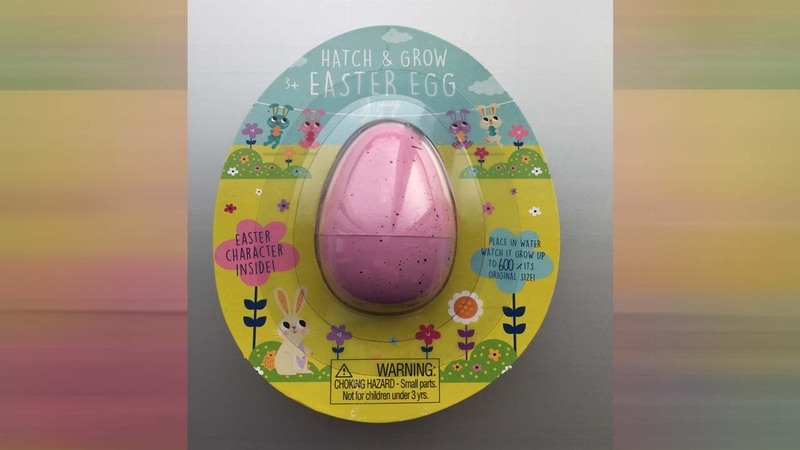 The recall is for Hatch & Grow Easter Eggs, Easter Grow Toys, and Hatch Your Own Dino toys sold at Target stores from February through March for about $1. Parents should return the toys to any Target store for a full refund.